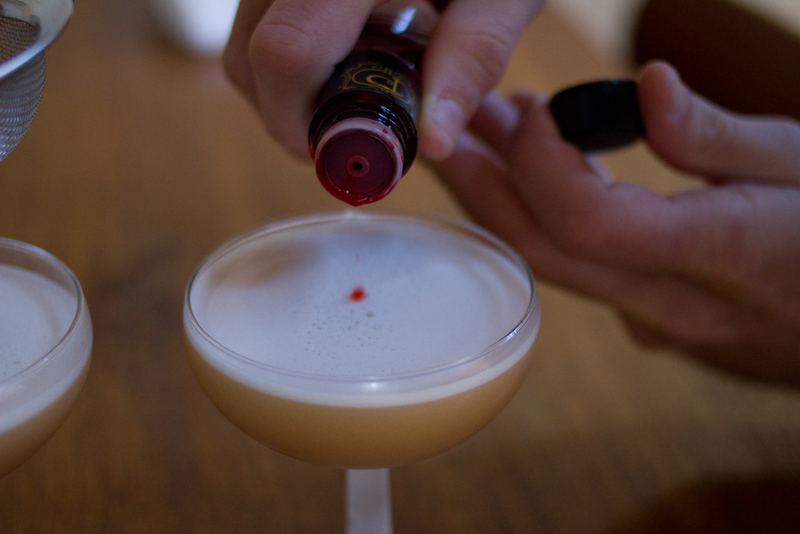 I’m not sure I have much to say other than this is a damn good cocktail, and sometimes you just want a good cocktail. 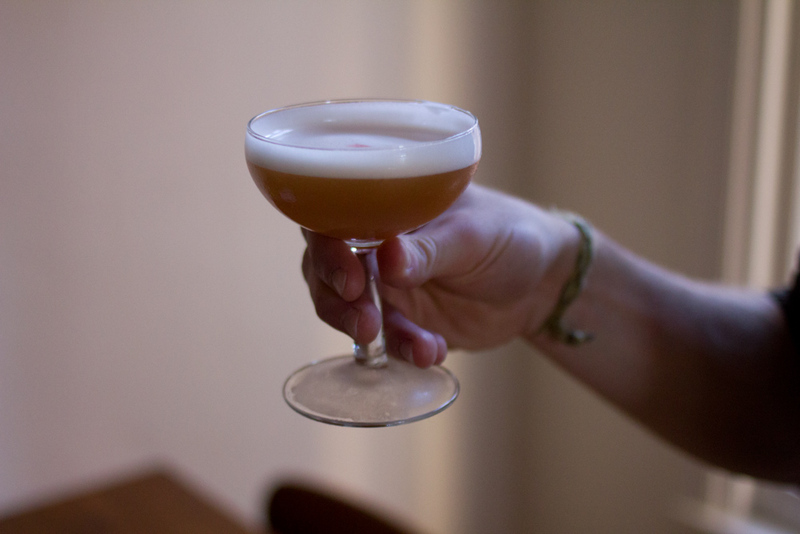 It’s a take on a whiskey sour, swapping the simple syrup of the sour for more complex maple syrup. Trust us, it’s a better match. 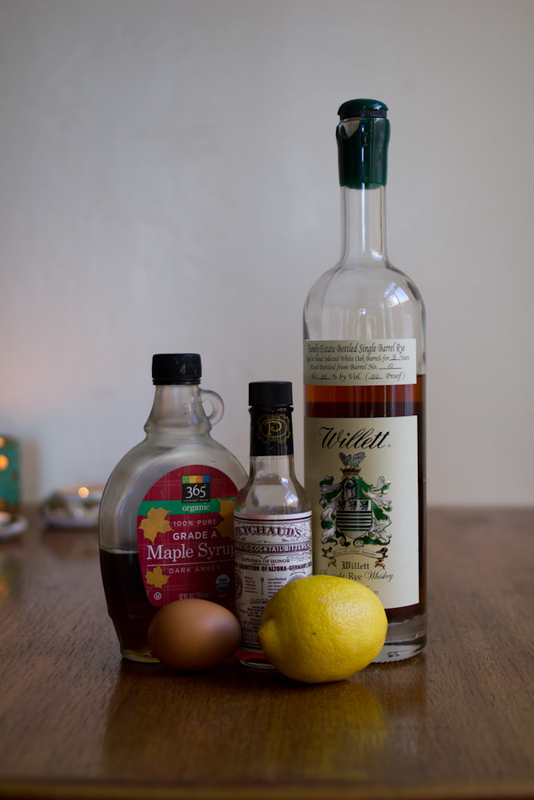 Bourbon and maple syrup compliment each other oh so well. A bit of lemon juice brightens it up and the egg white gives you that glorious foam. You can skip the egg white, but I wouldn’t. I’m no scientist, but something tells me the alcohol must kill salmonella. 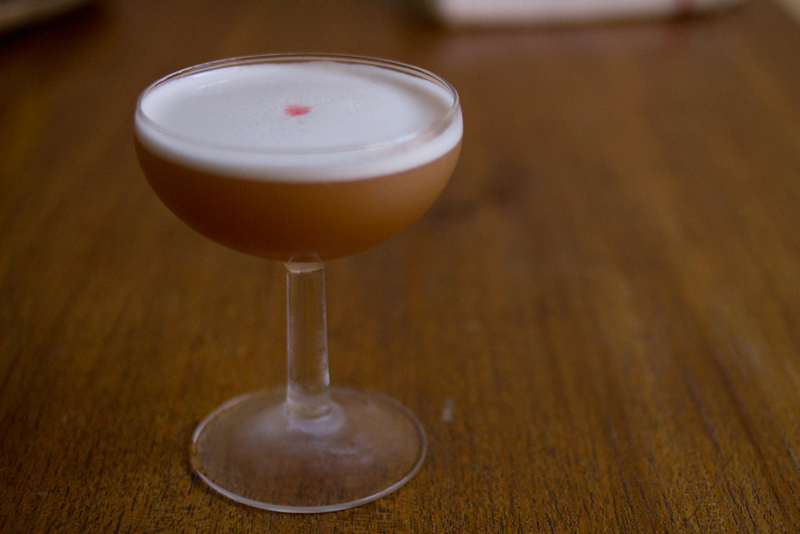 In a large glass, combine bourbon, maple syrup, lemon juice and egg white. Add ice. Shake for about a minute to really get those egg whites frothy. Strain into a cocktail glass. Top with a dash of bitters. Cheers! *At least our sausage. Who knows, maybe all those other bloggers do have perfect lives/eat like kings and we got the short end of the stick? Sometimes this food blogging thing is easy. The dish tastes great, I’m able to get a decent photo, the words flow freely. But most of the time, at least one of the following things happens: a dish turns out weird/bad/boring, it’s dark outside by the time we eat and my overhead tungsten lights make even tasty food look like death on a plate, in the rush of getting dinner on the table I forget to take a photo of the final dish all together, I stare at my computer screen failing to come up with something that will convince you that this is a recipe worth trying. A lot of dishes are left on the cutting room floor. To call them failures seems a bit harsh, mostly they’re just pretty meh. But, meh isn’t something I really want to write about or subject you to. There are plenty of recipes on the Internet that have meh on lockdown, and my SEO could never compete. Salmon wrapped in phyllo that was delicious, but it’s essentially impossible to know when the salmon is actually cooked, which is rather terrifying for most home cooks, especially when you’ve got 5 guests sitting at your kitchen table. Granola bars that were supposed to be studded with chocolate chunks but instead I prematurely added chocolate to the dry ingredients, added the warm wet ingredients to the dry and melted the chocolate completely. Somehow I also thought it was a good idea to add a banana to the mix. It wasn’t, it was weird. Hot wings that were heaven, but the photos are terrible, and who eats hot wings when it isn’t the Super Bowl anyway. Maybe next year? A mushroom pasta that sounded good, turned out ok, but a bit on the dry side. Dry casseroles are such a disappointment. Mostly it was pretty dull, and I’m not sure I can summon the will to finesse it. Soft baked eggs in phyllo cups that absolutely tickled me with their adorableness in person, but I couldn’t get a good photo to save my life. Tragedy. About 7 different smoothie recipes, none of which turned out better than this one that I’ve already shared with you all. We still drink that one every morning. An omelette filled with mustardy bread crumbs that gave me a panic attack each time I made it because all that cooking happened so quickly. Plus, what is more impossible to photograph than omelettes? Except for maybe cassseroles? Lord help me. Now to keep things real honest, there are many nights where I combine a few Trader Joe’s ingredients with some random CSA veggies and call it a day. And because if some other food blogger was divulging her cooking reality, I’d want the nitty gritty details, here’s what that looks like. Wrap whatever you’ve got in a tortilla (chicken, cheese, beans, rice, veggies—any combination will do ya), pour some enchilada sauce on it, bake it 30 minutes and boom: dinner. Steam a few TJ’s pork gyoza, sauté up whatever veggies you’ve got lying around with an onion, throw some soy sauce on it at the very end and ta-da: dinner—just try and remember to put on the rice. Bake some TJ’s falafels, spread some hummus and tzatziki on a pita, top it all with some random veggies, hallelujah, you’re fed. These aren’t masterpieces (and I’ve got Mexican, Chinese and Persian grandmas rolling in their graves), but they’re healthier and cheaper than take out. We’re real people fighting the good fight, just like you are, and that fight is fueled by Trader Joe’s. 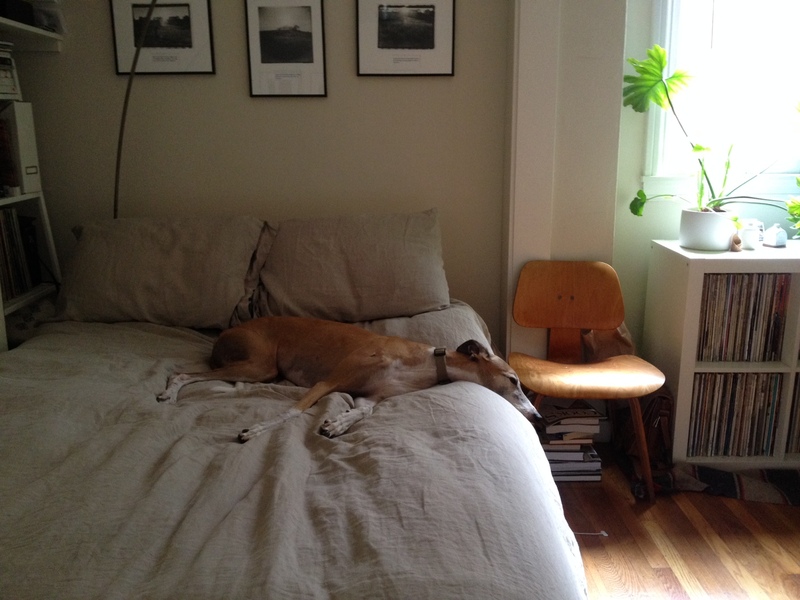 Today is Sunday, which is usually my cooking day (or it least it was when I wrote this). 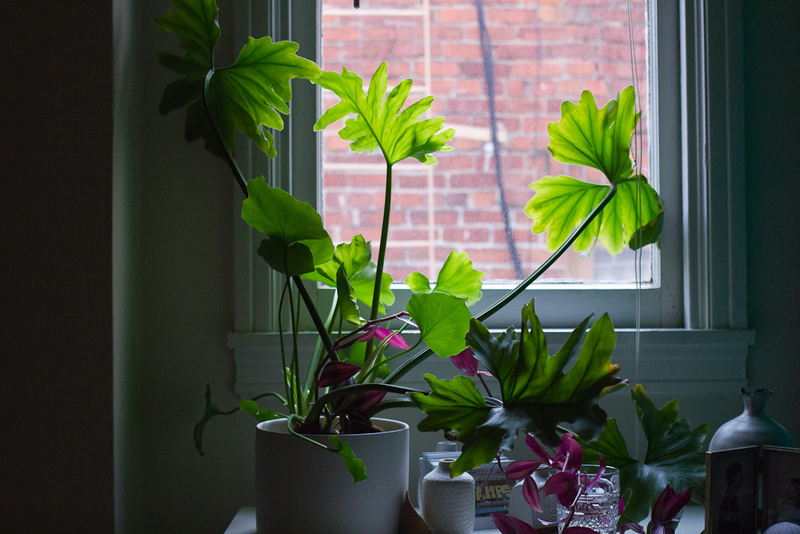 I’ve got a few projects in the works and I’m hoping I’ll break out of this funk and come up with something good—some signs point to yes? Fingers crossed, no guarantees. I might have a recipe for faux-enchiladas for you next week. I don’t believe in diets. I think diets ruin food for you and for everyone you eat with. Instead I prefer to live by Julia Child’s philosophy—everything in moderation, including moderation. Life is just too short, and you only get one of ’em. But, I do believe that your body will tell you what it needs if you take the time to listen. After an epic weekend of eating with Jordan’s family (pizza at Pizzeria Delfina, followed up by cocktails at Hard Water, followed up by House of Prime Rib, topped off with brunch at Nopa), my body was screaming for some vegetables. I love vegetables, and though it might be blasphemous to say so seeing as some folks around here consider bacon a food group, vegetables are probably the only food I could tolerate eating weeks on end. We have salad (or slaw or sautéed greens) with dinner every night, but salad as a meal just doesn’t cut it when you bike upwards of 20 miles a day like Jordan does. Plus, when you write a blog called The Answer is Always Pork, you can’t get away with hawking sissy vegetarian food. This dish is my compromise between the need to detox and the need to fuel my handsome nerdlover’s brain and body. So here we have a salad that does not mess around. 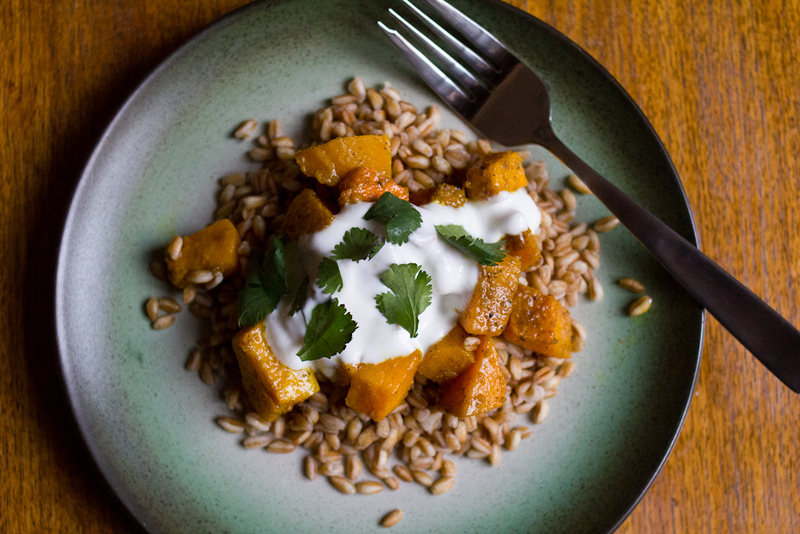 Curry powder takes butternut squash to a wonderful warm and spicy place. Farro is one of the best grains out there—it blows quinoa out of the water; nutty and chewy, you don’t miss meat. Top it all with a lemony-yogurt sauce that adds just the right amount of brightness and you’ve got yourself a wining dinner. It’s also all kinds of flexible. Instead of butternut, you could use whatever squash you’ve got lying around. Or heck, roast up some carrots or parsnips or celeriac. You can serve it hot, serve it at room temperature, serve it cold. Anything goes. This salad is your oyster. Now doesn’t my detox sound like fun? Preheat your oven to 400 F. Line a baking sheet with parchment paper. Peel and cut your butternut squash into cubes. Toss with some olive oil, salt and curry powder and spread evenly on a baking sheet. I’d taste your curry powder—mine was very mild and I needed to use quite a bit to actually taste it when it was put up against the flavor of the squash. You can taste a piece of squash part of the way through cooking and if it is too mild, sprinkle on some more curry. You want this squash to pack a punch. Bake 30 – 40 minutes, until the squash is tender. Meanwhile, mix the yogurt with lemon juice. Season with salt and pepper. 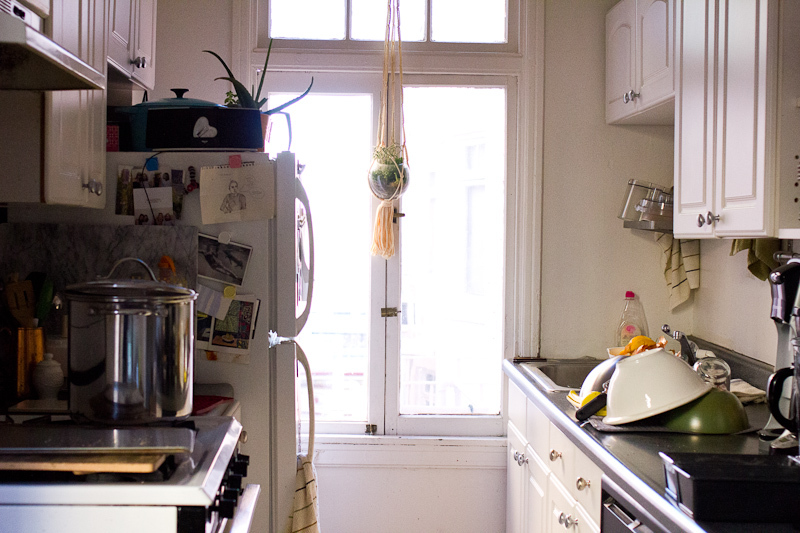 While the squash is baking, bring a pot of salted water to boil. Cook the farro according to the package directions, drain and toss with a little olive oil. 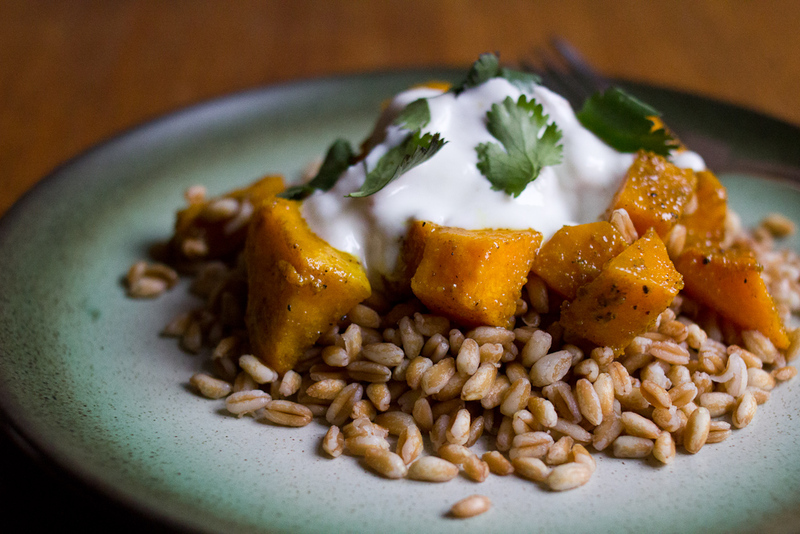 To serve, mound some farro up on a plate. 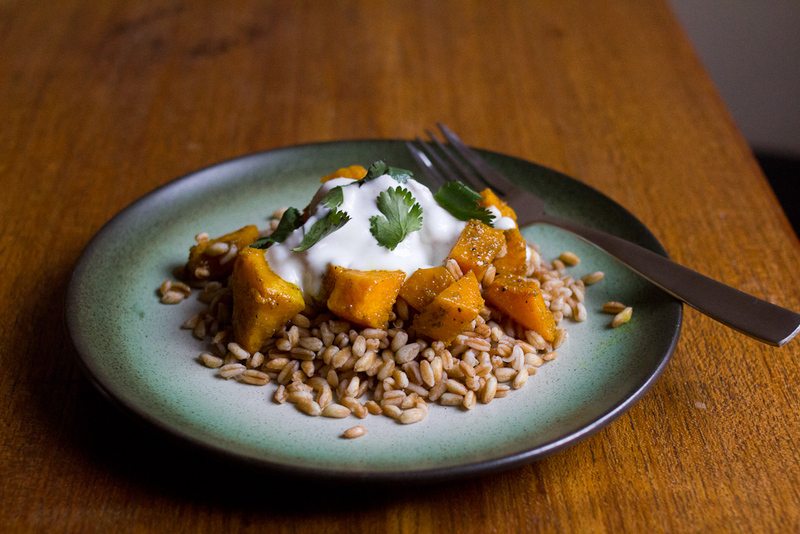 Scoop on a healthy helping of squash and top with the lemon yogurt. Or throw it all in a tupperware and eat it like a heathen with your hands in the park because you forgot a fork. Either way, enjoy!